It’s no secret that one of my favourite biscuits of all time is Cadbury’s Animal Biscuits. My grandparents used to give me them as a child to shut me up I expect and stop me from bouncing off every wall in their house. 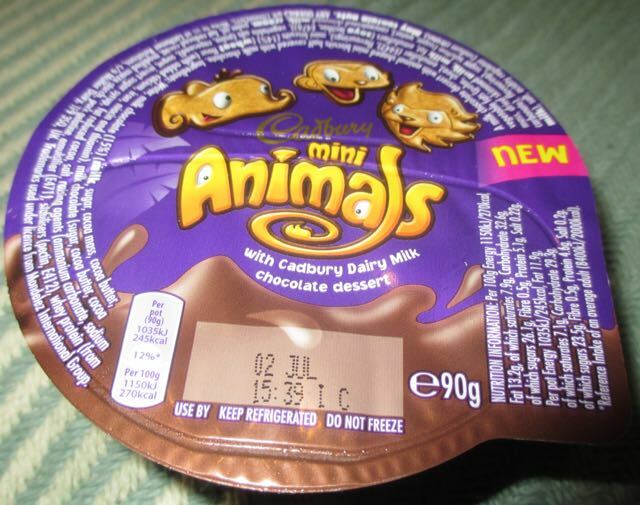 Now you can buy Mini Animals to dip in Cadbury Dairy Milk Chocolate Desert. Excuse me if this sounds a bit bias, but one of my favourite chocolate biscuits dipped in one of my favourite milk chocolates is a recipe for success. 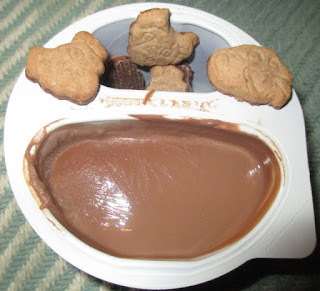 On opening the tub there was six Mini Animals to pick up and drop or dip in the fairly deep pool of milk chocolate sauce. Of course you can dump them all into the pool in one go, but I decided to savour. “Savour” is probably the wrong word here though, as to be honest the only thing that held me back from scoffing the lot in seconds was writing this review at the same time. So if you like chocolate biscuits, especially Animal Biscuits and you like chocolate sauce, especially Cadbury’s, then this is for you. Well, to be honest, for anyone who doesn’t think they’ll like it too. You can’t have this one though, because I’ve just finished it!